Marketing programs are built on the backbone of meaningful lists - ABM lists, event invite lists, event lead lists, prospect lists, customer lists, and the list (pun intended) goes on. 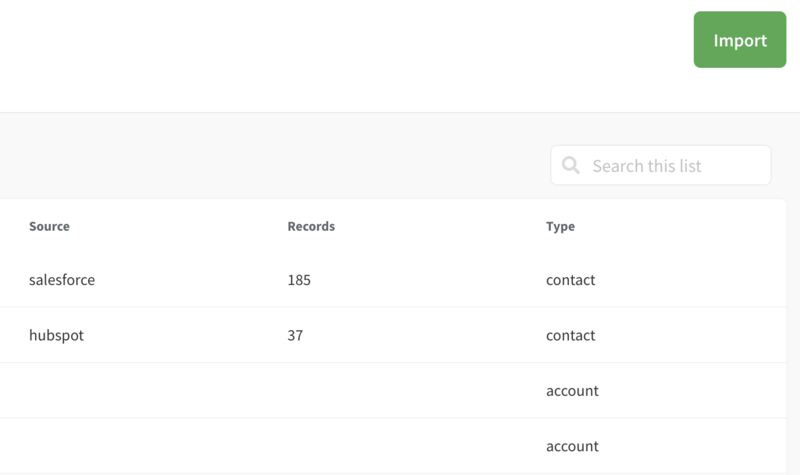 Sigstr Relationships lets you import lists directly into the application to instantly understand your relationships with every contact or account on any given list. 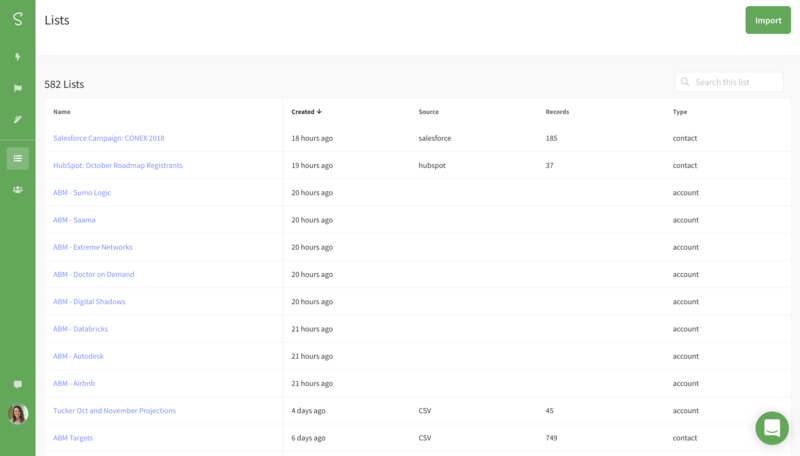 Upload a list of ABM targets and know how relationships are progressing. 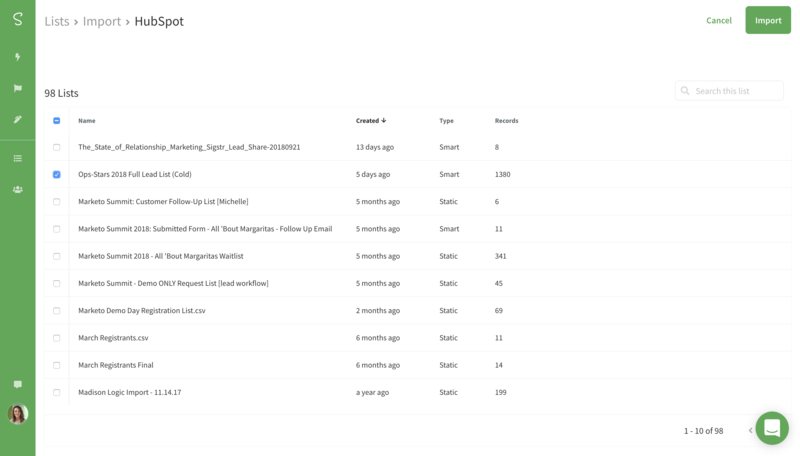 Upload a list of event leads and see when and if your sales team has followed up. 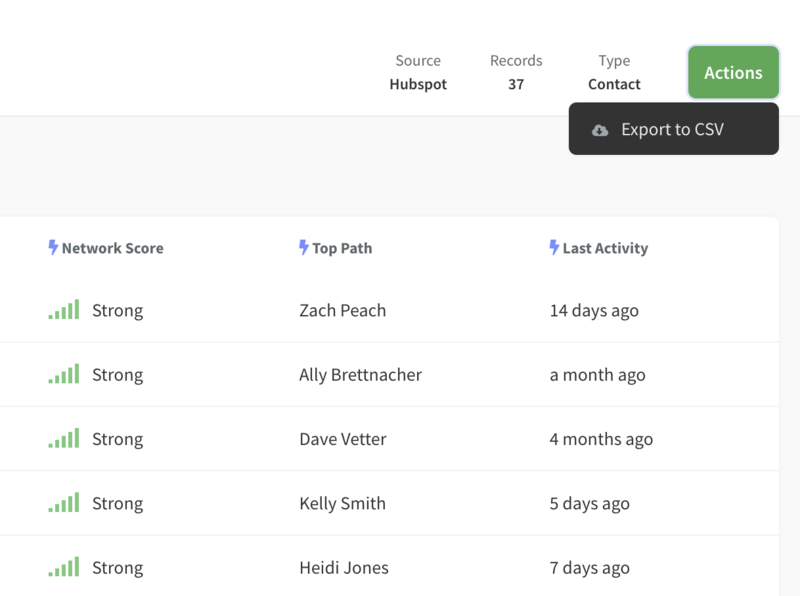 Upload a list of your top prospects and understand who in your company is best connected. Navigate to the Lists section in Sigstr. Select the Import button in the top right corner. Select which import option you would like to use. 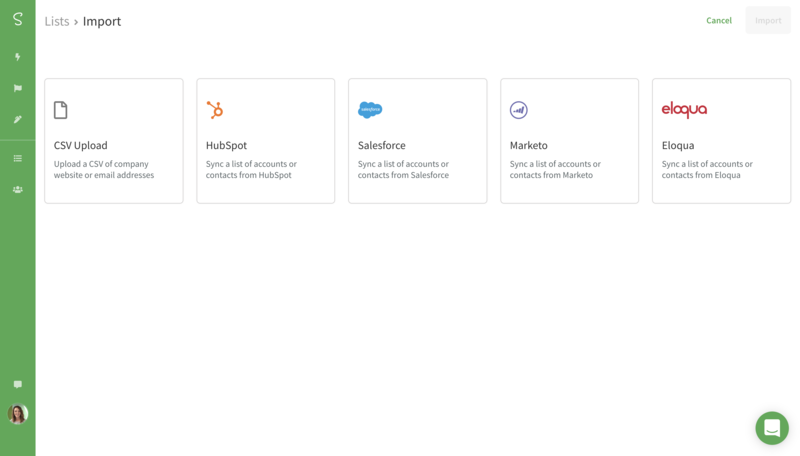 If you've integrated with Salesforce, HubSpot, Marketo, or Eloqua and your list lives there, you can find it and sync it to Sigstr directly. If not, upload a CSV file. Select the list(s) you would like to import. Once you've imported your list, open up the details page by clicking into the list. 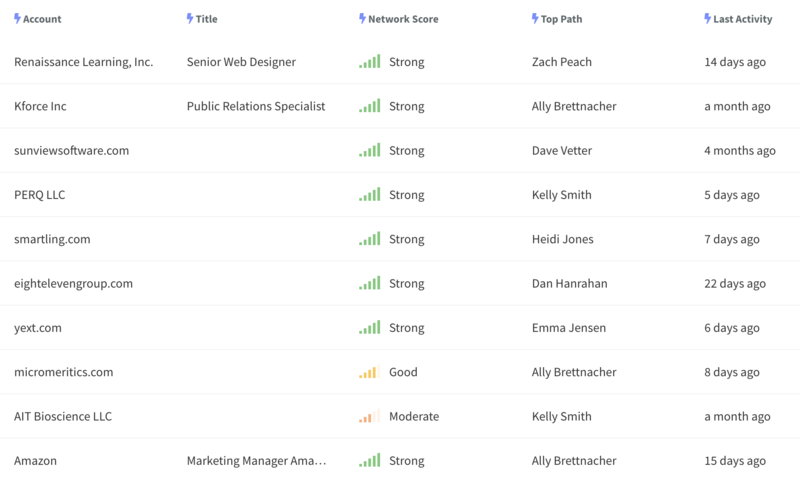 Sigstr Relationships will enhance the list by pulling in network score, top path, and last activity for each contact/account. 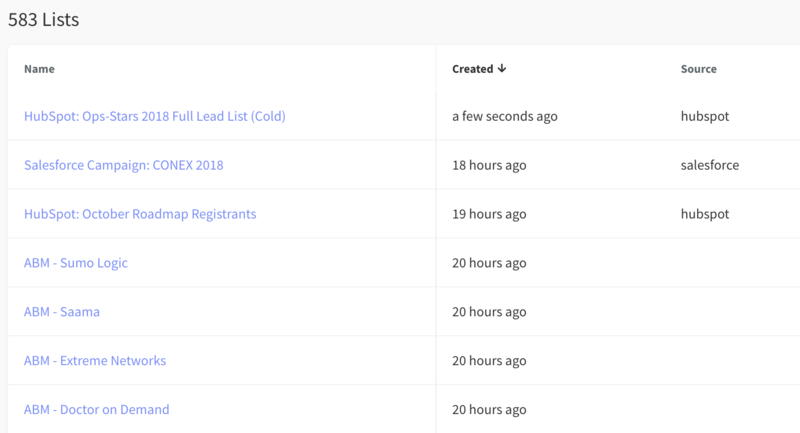 Export your enhanced list if you want to work in a spreadsheet or upload your new Sigstr Relationships fields to Salesforce, HubSpot, Marketo, or Eloqua.